Cooks at Alfred's Steakhouse, in San Francisco, prepare horseradish by whirring small chunks of peeled horseradish root in a food processor with just enough Champagne vinegar to moisten. 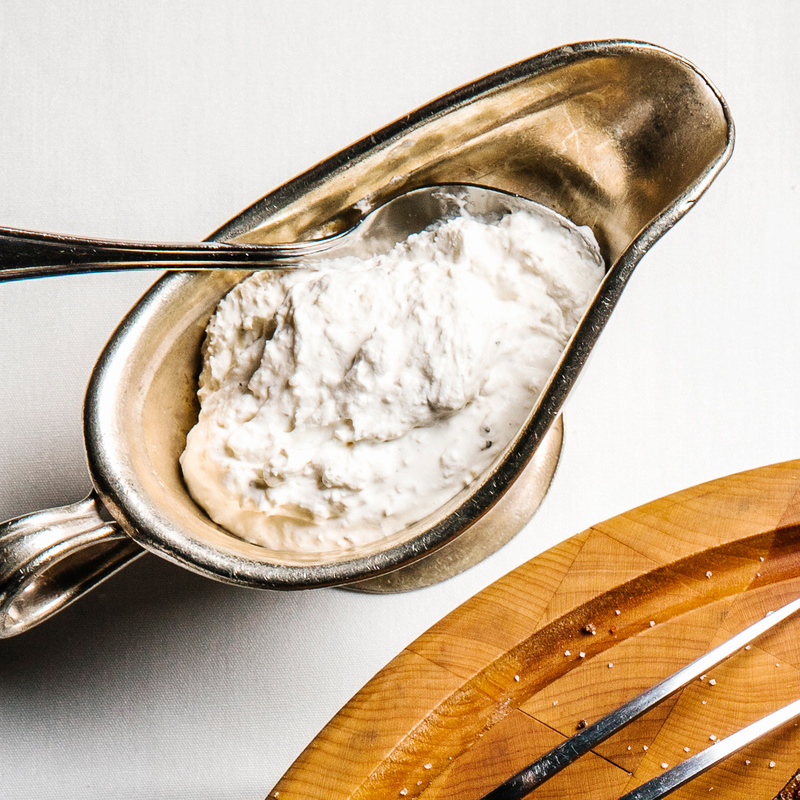 Store-bought prepared horseradish is fine, but isn't as fluffy and fresh-tasting. The sauce is terrific with grilled steak. With a mixer using the whisk attachment, whip cream and cream cheese on medium speed until whisk just begins to leave marks, about 4 minutes. Remove from mixer and add horseradish, pepper, 2 tsp. lemon juice, and 1/2 tsp. salt. Whisk by hand to blend and thicken. Taste and add more salt and lemon juice if you like.